Need help with Converters? 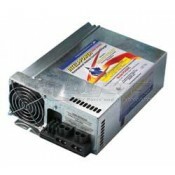 Check out our RV Power Converters Buyers Guide. 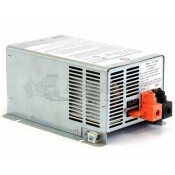 The power converter is a key component to any RV and Dyersoline.com understands its importance. 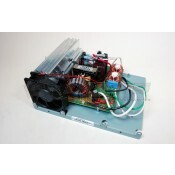 Whether you are looking to upgrade your existing power converter or need to replace a defective unit Dyers has a wide selection of models to fit any need. 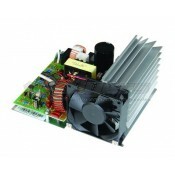 We stock models from well-respected brands such as WFCO, Inteli-Power, Parallax, and IOTA. 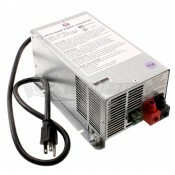 Selecting a high quality power converter is highly important as it can mean the difference between having power and not. In addition to reliability, it is also important to select a quality model that helps maintain the life of your RV battery. To ensure long life of your RV battery the power converter must reduce the charger current as the battery reaches maximum charge capacity. A high quality power converter can extend the life of your RV battery by hundreds of cycles, resulting in lower long term maintenance costs. 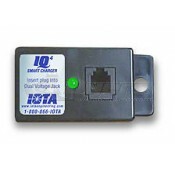 As an added benefit, many of the Inteli-Power power converters sold here have the option of adding a Charge Wizard. 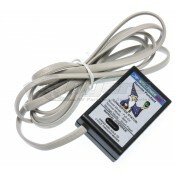 The Charge Wizard allows you to have more control over the charging of your RV battery. The Charge Wizard lets you select the Boost Mode which raises the charge voltage to 14.4 volts up from the standard 13.6 volts, resulting in up to 300% faster charge times. 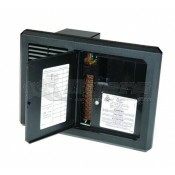 The Charge Wizard constantly monitors the battery, dropping the voltage back to 13.6v to ensure the safety of the battery. 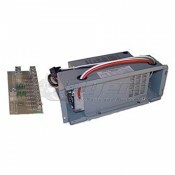 In addition to power converters, Dyersonline.com also offers Power Centers. 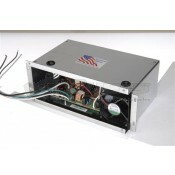 We offer models from WFCO, Inteli-Power and Parallax. 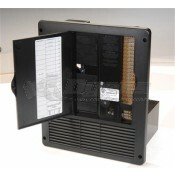 We have plain black models, as well as stylish brown models to fit any decor. 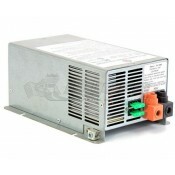 We offer power centers ranging from 35 amps all the way up to 90 amps in order to fit any application.